On Thursday 8 December 2011 young people from Bridgend KPC Youth Club were involved in the National Assembly’s consultation on the Learning and Skills (Wales) Measure 2009 which is currently being looked at by the Assembly’s Children and Young People Committee. The group filled in questionnaires asking for their opinions on how effective the law has been. 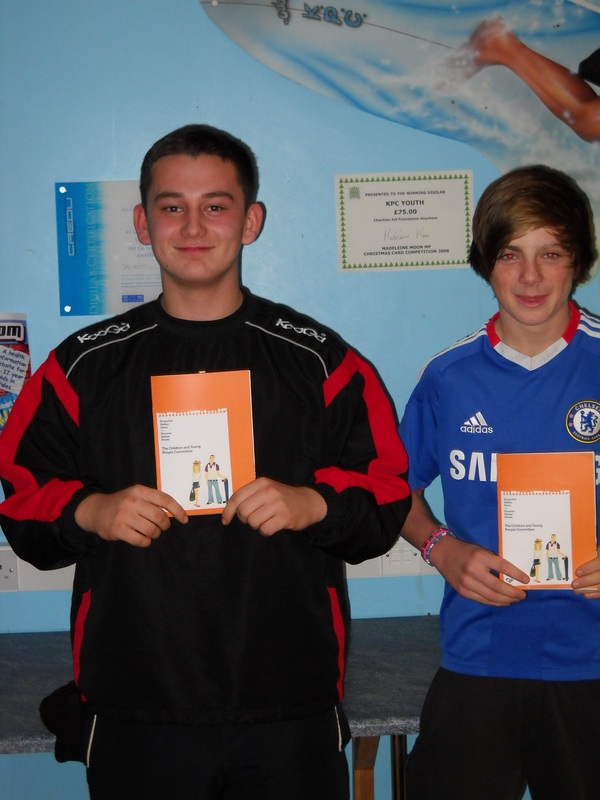 Participants included Logan Hickey from Llanhari Comprehensive School and Daniel Jones from Cynffig Comprehensive School.